Come On You Tykes - A Bizarre Coincidence Of Wicket-keepers! 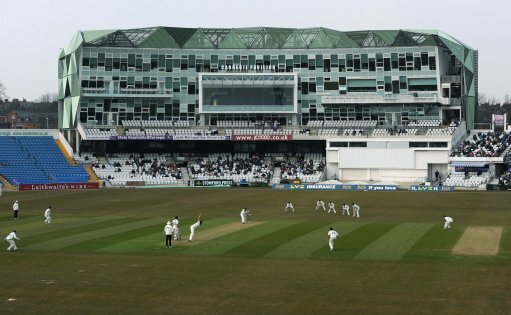 A candidate for one of the freakiest pieces of trivia must surely derive from the fact that all of Yorkshire's main wicket-keepers since 1955 have surnames that begin with the letter B. Step forward and take a bow, Messrs Binks, Bairstow, Blakey, Brophy, and Bairstow! Jimmy Binks earned the unsurpassable distinction of playing every match for Yorkshire between 1955 and 1969. I have read that purely in terms of wicket-keeping he was at least as good as anyone else in England, including the famed Alan Knott. However, it was apparent mediocrity with the bat which denied Binks a prolonged test career. Instead of which, Jimmy was restricted to a couple of test appearances during which he found himself ironically being asked to open the batting! Next in our hall of fame is the late David Bairstow. David was a stalwart of Yorkshire throughout the 1970s and much of the 1980s too. A belligerent batsman and county captain, Bairstow also earned a few call-ups to the England team and did record a half century in his handful of appearances. Tragically this favourite son of Yorkshire took his own life. Succeeding JB and DB was RB: Richard Blakey. Like his illustrious predecessors, Blakey combined expertise behind the stumps with several competent performances with the bat. In fact, he was something of a force in limited-overs cricket. As a consequence, Richard played in both one-day internationals and also a handful of tests. Regrettably Blakey played for England in a test series in India in 1992 when the tourists were blown away, and Blakey did not do himself justice when required to bat. Next comes Gerard Brophy. Brophy is certainly the least celebrated of our quintet of stumps-men but to his credit he has weighed in with a number of fine innings in recent years, though his tenure as wicket-keeper certainly hasn't matched the fifteen year stints of the previous trio. Last and certainly not least is young Jonny Bairstow. Following in his father's footsteps, JB is trying to establish himself as a long-term fixture in the England test team. There is speculation that Jonny is being groomed as the successor to the admirable Matt Prior. One thing is not in doubt: Young Bairstow is the kind of aggressive batsman that attracts the crowds. England and Yorkshire will be both hoping that the best is still to come from Jonny Bairstow. Now finally, are there any other young would-be Yorkshire wicket-keepers out there? Let's hope that your surname starts with the letter B!